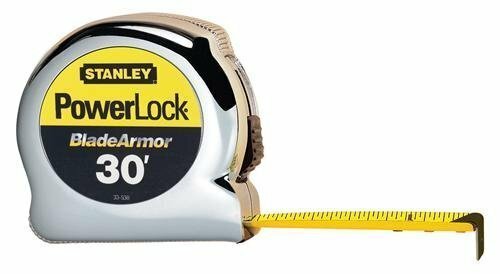 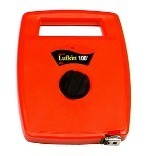 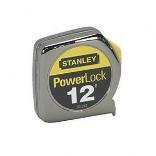 Length Any25-50 ft.51-100 ft.Under 25 ft.
POWERLOCK TAPE MEASURE W/BLADE ARMOR Blade Armor coating reinforced on first 3" Delivers 10 times the blade life Myldar polyester film extends entire blade life 8 ft. standout - 16" & 19.2 stud center markings Forward blade lock is easier to lock/unlock 3-rivet, corrosion-resistant Tru-Zero end - for accurate measurements Chrome plated ergonomic case 33-530 1 IN. 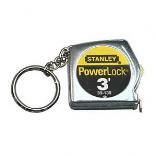 X30 FT. 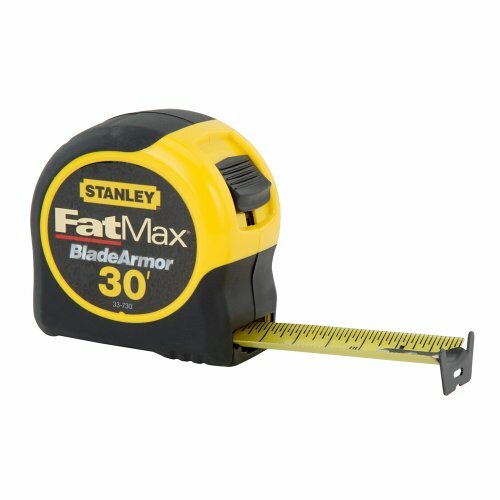 TAPE MEASURE SIZE:1"x 30 Ft.
ALUMINUM RULES Straight edge aluminum rules Made from .125 gauge aluminum 2" wide 10211 72 IN. 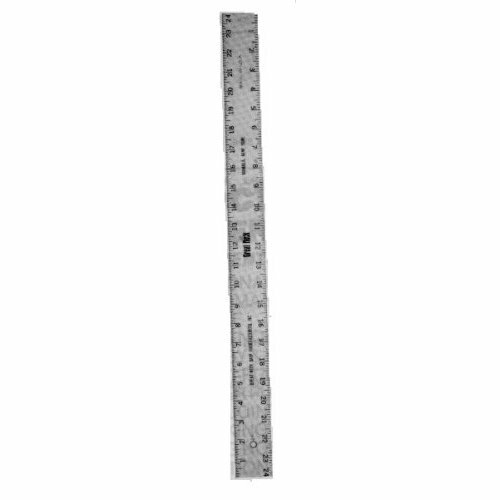 STRAIGHT EDGE RULER SIZE:2"x 72"
ALUMINUM YARDSTICK Marked 1 side only in inches to 1/16ths Graduated in 16ths top & bottom one side only T1260N 1-1/4 IN. 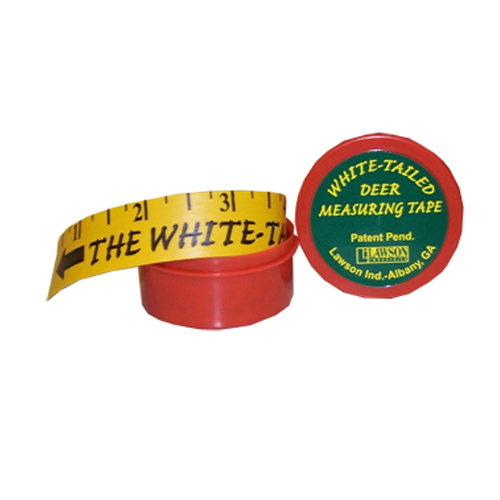 ALUM YARDSTICK SIZE:1-5/64"x 3 Ft.
ALUMINUM STRAIGHT EDGE RULER Aluminum alloy - heat treated on one side Can be read from either end Marked 1/16" and 1/8" increments SLASE48 48 IN. 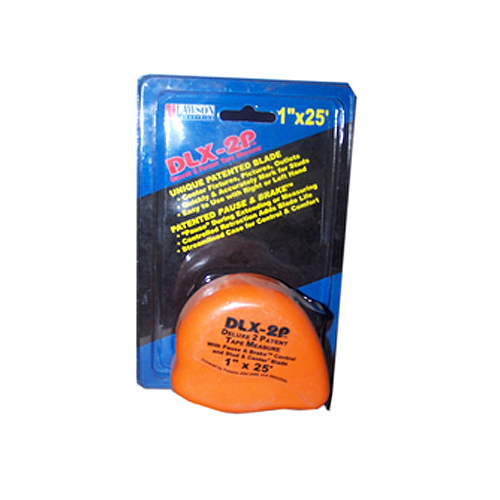 ALUM STRAIGHT EDGE SIZE:2 x 48"
May also be used to measure antler rack width and tine length. 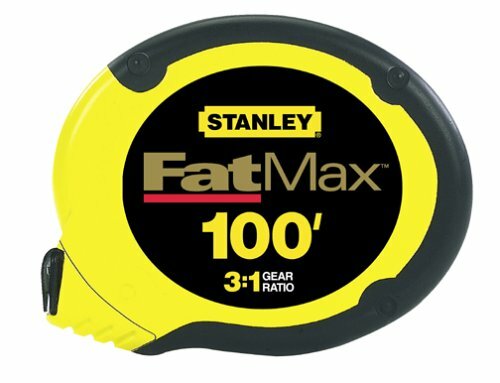 FATMAX LONG TAPE 3 to 1 gear drive for fast rewind Stainless steel blade for long life High impact ABS case with rubber, non-slip grip Tru-Zero end hook for exact measurements Steel roller cage protects case 34-130 3/8 IN. 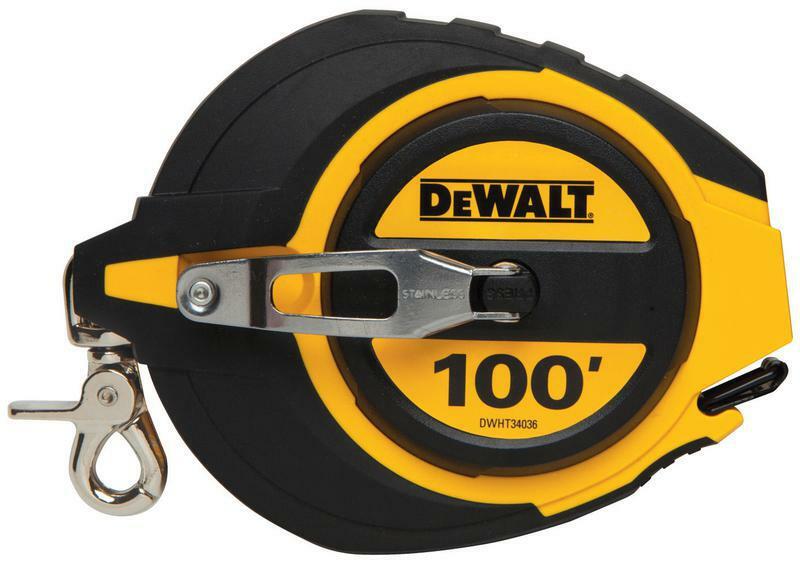 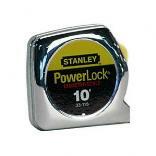 X100 FT. LONG TAPE SIZE:3/8"x 100 Ft.
DeWALT STEEL LONG TAPE Features 5:1 gear ratio for 5 times - faster blade rewind Blade release button for easy blade pull out Spring loaded carabineer attachment makes for easy transportation Rust-resistant coating prolongs blade life Dirt removal window to empty dust particles - from inside tool DWHT34036 100 FT. 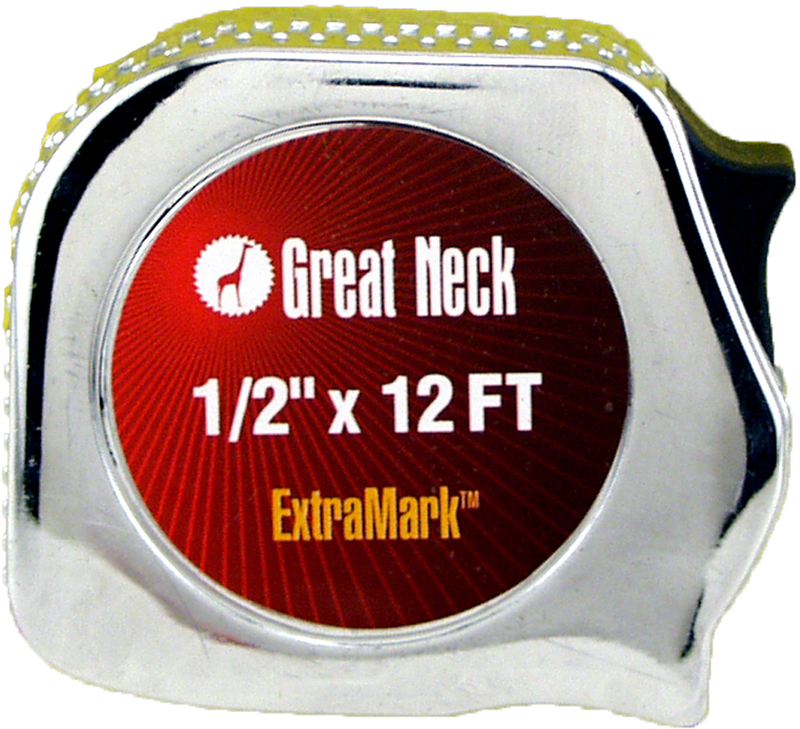 TAPE MEASURE SIZE:3/8" x 100 Ft.
EXTRAMARK CHROME TAPE MEASURE Features ExtraMark measuring system Large fractional markings labeled in - 1/8" increments to improve readability High impact chrome case for durability Positive lock holds blade securely Belt clip C125I 5/8 IN. 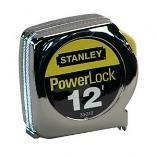 X12 FT. CHROME TAPE SIZE:5/8"x 12 Ft. 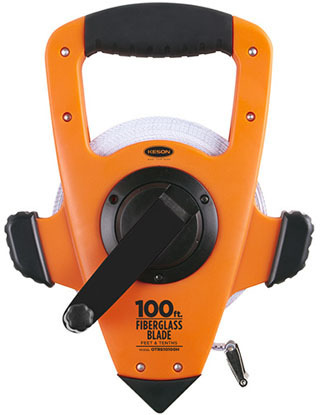 Extra tough and durable thanks to industrial-grade BladeArmor® coating on the first 3"e; and a high-impact ABS case. 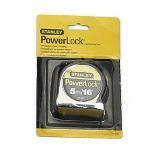 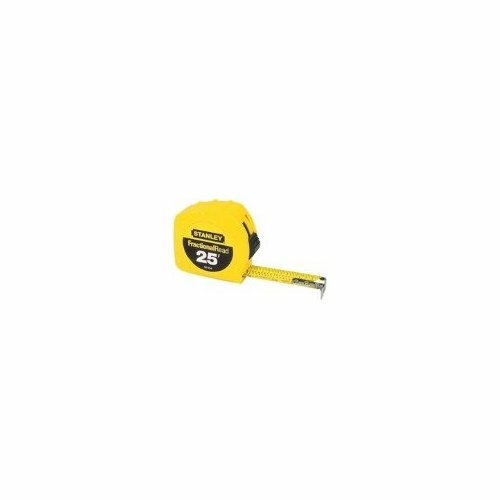 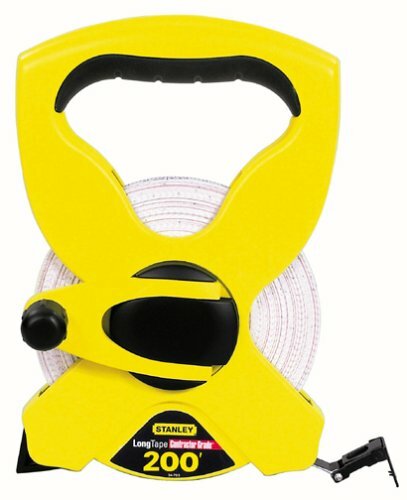 3/8"x100 FT. SPEEDWINDER LONG STEEL TAPE Heavy-duty, yellow clad steel blade is - protected by an abrasion resistant coating Impact-resistant, self-standing case Extends, rewinds in less time than - conventional long steel tapes Easy to read bold black markings Graduated in eights, inches and feet HYT100 3/8X100 FT. SPEEDWNDR TAPE SIZE:3/8"x 100 Ft.
K-LINE FIBERGLASS TAPE Flexible tape blade measures around corners Easy wind crank handle Withstands rough treatment Graduated in 8th, inches & feet OTRS18100 100 FT. OPEN REEL TAPE SIZE:100 Ft.